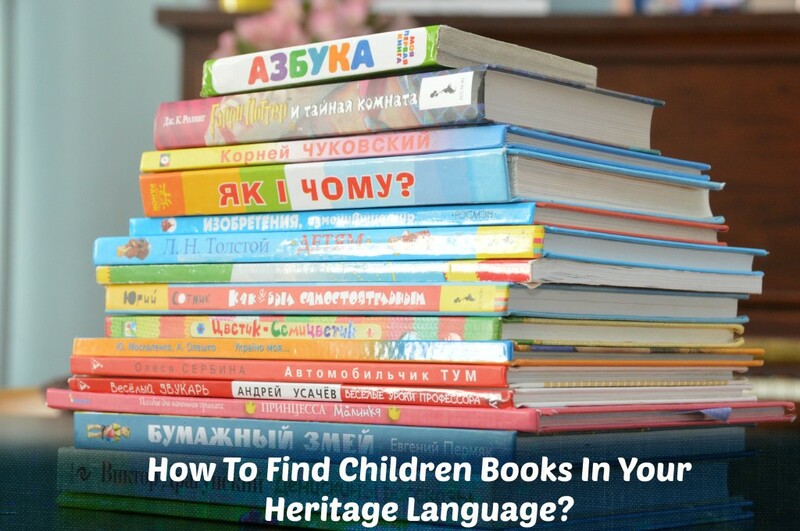 You are here: Home / All Articles / How To Find Children Books In Your Heritage Language? 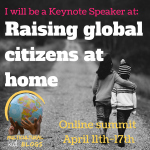 Reading out loud is a HUGE part of raising your child bilingual! If you are not reading to your child in your heritage language, or not teaching him/her how to read in it, you are missing a huge opportunity. I could write a whole article about the importance of reading, both to your child and by your child, but the purpose of this particular article is different. How do you find a continuous supply of books in your heritage language? 1. Check your local library. Yes, the majority of the books will be in the community language, but chances are that they have a section of books in your language. In our tiny local library they have a very good selection of books in Spanish. Also, your library in town most likely is a part of bigger chain. In most communities, you can search the directory of the whole library network online, and if you find something they will ship it to your local library. Sad to say, this option did not work for us, but my friend in the greater Chicago area was able to find good supply of books in their heritage language. 2. Buy books when you travel back to your homeland. I have a budget line in our family called “Russian/Ukrainian books.” I buy them everytime I go back in Ukraine and bring home the whole luggage bag filled with books. 3. Ask your friends and family who live in your heritage country for books. I’ve slowly trained all my friends in Ukraine to know that books are the best present for my kids! When we come to visit them, they always have at least 10 new books for us. 4. Also, if you have a heritage community in the country you live in, ask friends and neighbors to bring one or two books (obviously, you can’t for too many) when they go back home to visit. 5. Book exchange. If you have local friends with kids who also raise their kids bilingually – exchange books with them! 6. If you are in a big city (live there or visit) – check large bookstores for a foreign language section. Recently, we visited my sister-in-law in Portland, OR and she took us to the huge bookstore (amazing!) 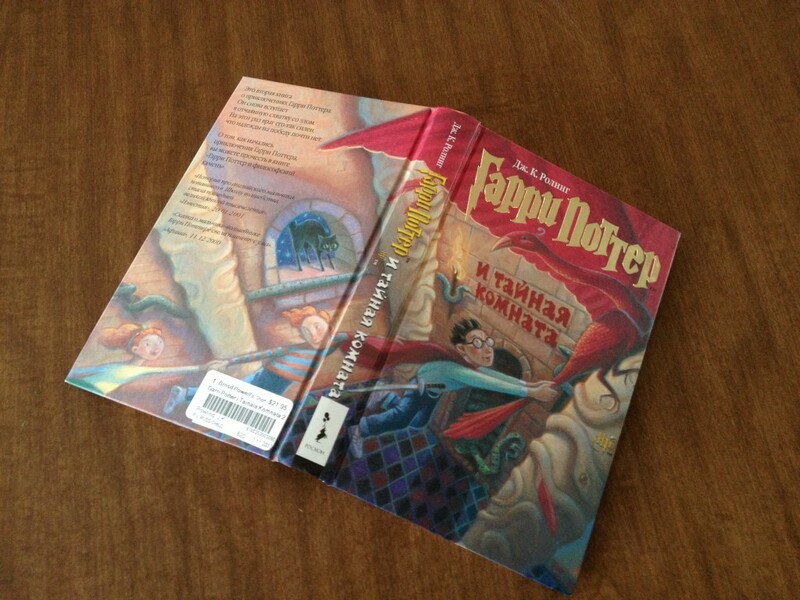 where I was able to find Harry Potter for my son in Russian. His motivation to read in Russian sprung up all of a sudden! 7. Order books online. Here in USA you can find many businesses that target minority groups. I can buy a lot of things from my homeland through some import websites. The downside to this option is that it tends to be pricey. Check Amazon to see if they have books in your language — you can often find second-hand books that are already in the country, which makes them more affordable. 8. Use digital readers like Kindle and Nook. We use Kindle and I simply Google “books for kindle in russian.” A lot of the books available for download are more suitable for my older son – there isn’t always a lot for young kids. But give it try – who knows, maybe you can find a big treasure of books! 9. Interactive books as apps on smartphones and tablets. We use iTunes to find interactive apps in Russian. It was very successful with my younger kids – they love to touch everything in the story! 10. Printable booklets. I got this idea when my son went to kindergarten. He started to bring a lot of printable black and white booklets with picture and simple sentences under them. They turned out to be great for learning sight words. So I googled “printable booklets for kindergarten”, printed out the ones I liked, cut out the English wording and wrote the wording in Russian instead. Check the picture below to see this magical transformation! 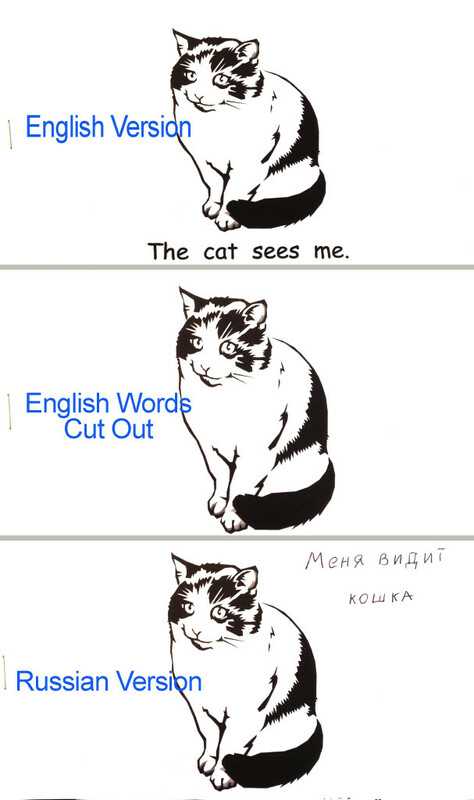 Magical transformation of the English booklet into Russian one! 11. Create your book online. 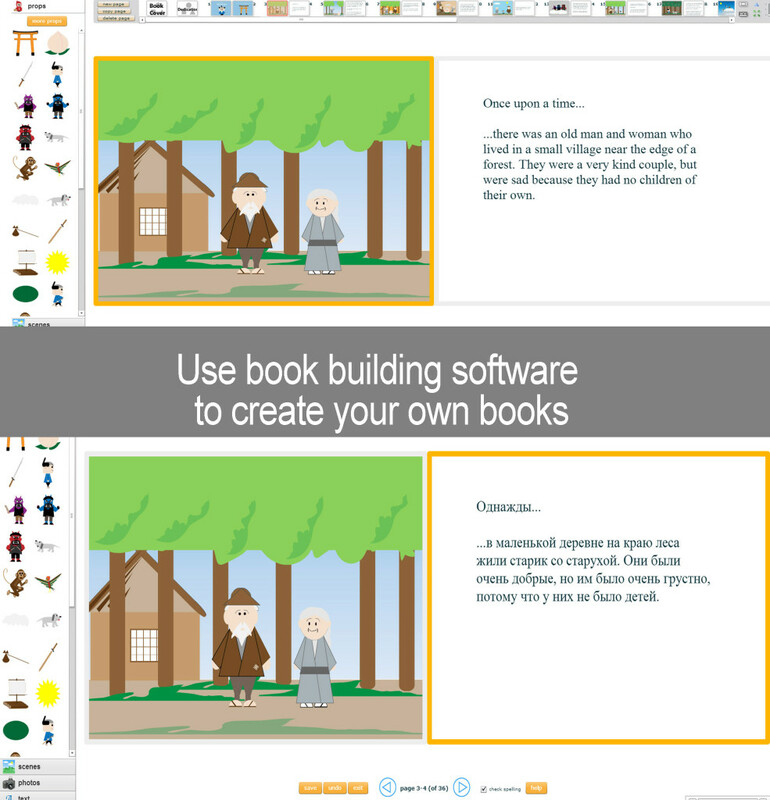 Once again, I asked Mr. Google “create your own book” (I searched in English), and multiple results appeared. Make sure that the company you choose supports your heritage language’s writing. The options for creating a book are endless: you can choose layouts, backgrounds, characters, fonts, download your own pictures, etc. We created a personalized book for my husband’s birthday, and the kids had a lot of fun creating it! The only problem here – it takes time. Some of the websites allow you to personalize someone else’s book, which was great for us. I take a story that someone has already created, and I translate it into Russian to make a new book! Normally we just read the book off the screen, but you can also print it out and buy a physical copy. These are my 11 ideas on where you can get books to continue reading with your bilingual child in your heritage language. Do you have any ideas that I have not mentioned? Please share them with our community in the comments down below!